Muxía is a small coastal town on what is called the “Coast of Death” (Costa da Morte), located just north of Fisterra. 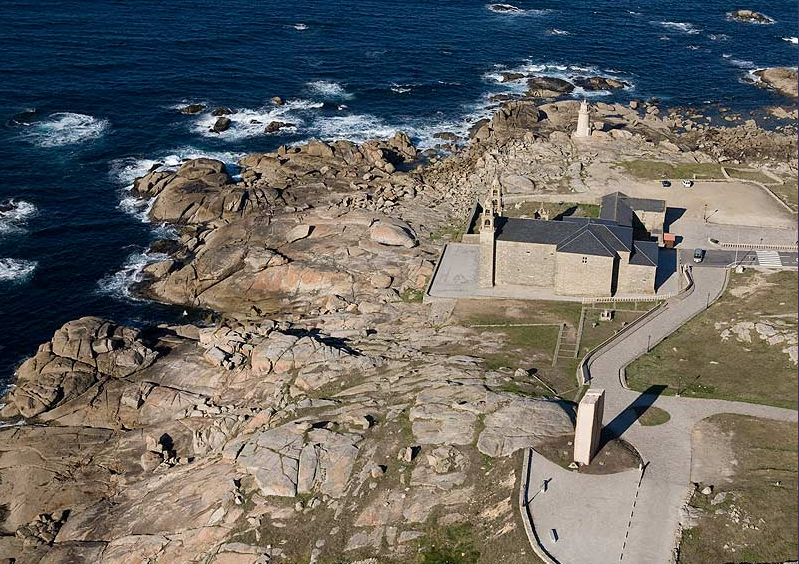 Both Fisterra and Muxía are popular destinations for pilgrims that have continued on walking after arriving in Santiago de Compostela. What stands out in Muxía, and what is a must is a visit to the Virgen de la Barca sanctuary located on the tip of a peninsular, about 500 meters from Muxía center. Muxía is know for its spectacular beaches and the town center has options for lodging and some good options for finding a good place to eat. If you are not walking or driving, you can take the bus out to Muxía from Santiago de Compostela. Have a look at the website of the Municipality of Muxía for details.